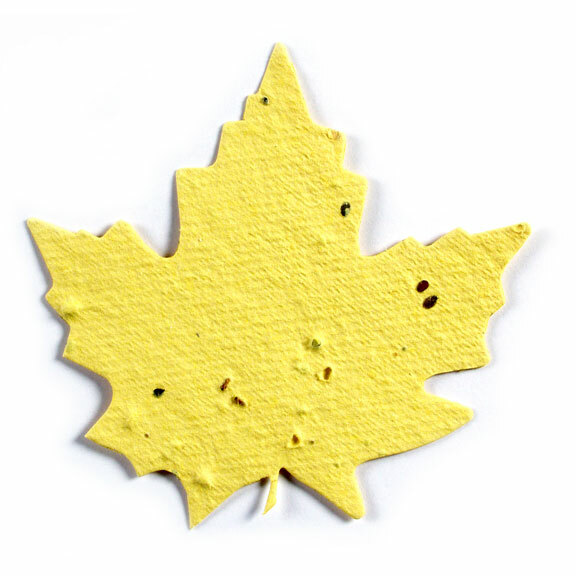 These seed paper Maple Leaf shapes are embedded with your choice of Wildflower, Herb, Lettuce or Carrot seeds. Plant them and they will grow. *Our seed paper shapes are shipped in sheets ready to be popped out.